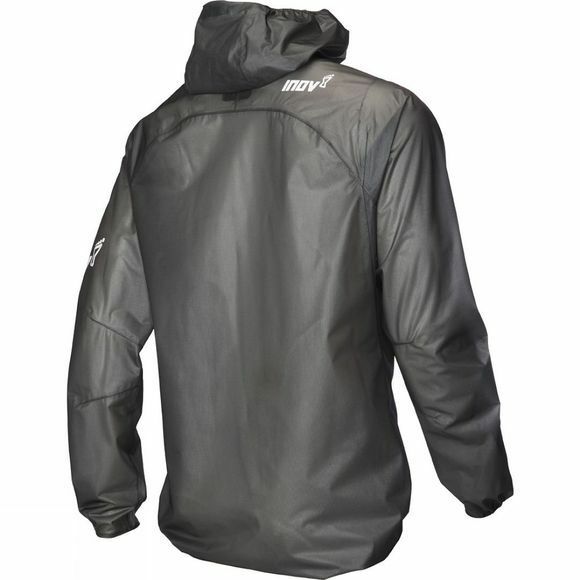 Our lightest waterproof hooded running jacket has been stripped back even further and now weighs just 108g. Designed for those runners wanting to race as light and fast as possible, this breathable shell is perfect mandatory race-day kit. 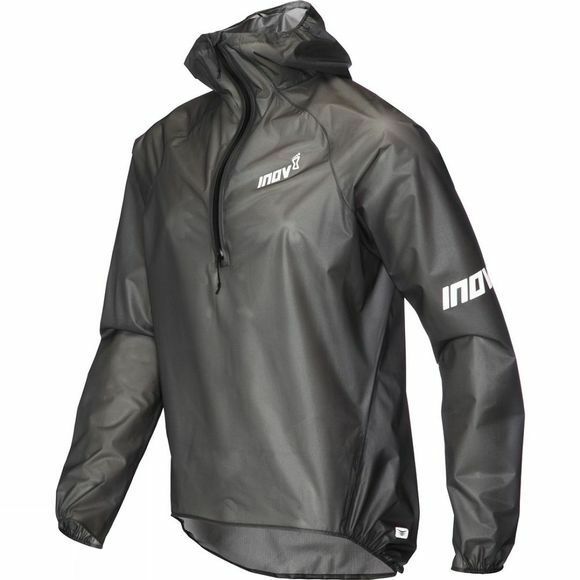 It is fully transparent for race number visibility and packs away small for easy, lightweight carrying. Enjoy breathability: Boasts a breathability level of 10,000 B-1 meaning sweat moves through the shell, resulting in temperature regulation and comfort when moving fast. Run super-light and super-fast: Lightest jacket in the range at 108g. Barely feels like you’re wearing waterproof shell. Easy to carry: Rolls up to a super-small size and is then secured in place using an integrated elastic loop. Transparent fabric ensures race number worn underneath is always visible.